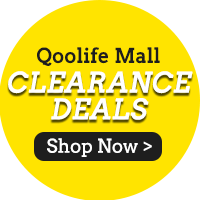 「Qoolife Mall」- [PnG] GILLETTE VENUS Snap with Embrace Razors and more! Gillette[PnG] GILLETTE VENUS Snap with Embrace Razors and more! Comes in a decent packaging but isn’t the best shaver. Good if you are traveling! The packaging seems dusty , forgot to take photo of it. But the product is ok. Delivery within 4 days. Highly Recommend Still can accpet!!! Item come in Q100 box but item behind seal little broker..still can accpet over all look is new..
Fast delivery and items were well protected in the box! Good ! Fast delivery! And cheaper then outside ! Received in good condition. Just that the item is very dusty. Item received in new and sealed in original retail box .... Item looks exactly the same as pic shown.... Item in good condition... In case of no stock/sold out, please do contact me for alternative item before you proceed refund, thank you. Sorry for late reply, at the moment we only have 2 cartridge available maybe you would like to consider on getting 2 first. New stock might not be arriving anytime soon. How do I purchase just the refill of Venus Snap with Embrace Razor ? It is option number 5, called Venus Embrace Refill cartridge. It comes in 4 per box. Does item 7 "venus spa breeze refil cartiridge" come with a razor and extra cartiridge? Item 7 only comes with the cartridge. Does the Venus snap comes with the case? Venus Snap comes with the case. Hi is the embrace refill cartridge for snap with embrace razor? May I know when the Venus Snap with Embrace Razor will be back in stock? [Re] Venus Snap with Embrace Razor restock? We are unable to advise if there will be any restock. For Gillette : 02) Venus Swirl Razor(+S$3.00), does it come with additional blazes and how many ? [Re] how many blades ? Kindly be informed that the Venus Swril Razor does not comes with an additional blazes. will u restock the snap with embrace razor?